Full disclosure: Each of the items I'm mentioning today I purchased myself, use regularly, and love. I was not asked or paid by anyone to provide these reviews. You should know too, that if you use the links to purchase them on Amazon, I will receive a small commission (at no extra cost to you). This past summer I had the incredible fortune to spend two weeks travelling through Israel in celebration of my oldest daughter's bat-mitzvah. If you've never been to Israel, then you probably don't realize that the food there is incredible. Jerusalem, Yotam Ottolenghi's tribute to Israeli cooking, is both beautiful to read and to explore. While we've cooked a good percentage of its meals, with all being incredible, it was only after I returned from Israel that I found what for me is its truest gem. It's Ottolenghi's take on shakshuka. For those who don't know, shakshuka is an Israeli comfort food. Often consumed for brunch, it's equally adept at serving as a dinner time meal and at its simplest is peppers and tomatoes stewed with a hot middle eastern spice paste, finished by poaching eggs directly in the mixture, and then eaten with crusty white bread. 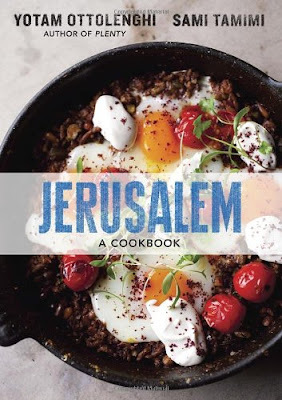 When we were in Israel, one of the restaurants I needed to eat at was called, "Shakshukia" and the only thing they serve there is shakshuka. It was incredible. And when we got home, and I cooked Ottolenghi's version, it was almost a dead ringer (when made with Ottolenghi's pilpelchuma (which I'd recommend making with Ancho rather than Pasilla peppers and also doing a quadruple batch and then freezing, in 1/8 of a cup measures, the extra which will allow you to make shakshuka with at most 10 minutes of prep time)). If you do make it, know that you can keep it vegetarian by cooking it as is, or you can, like I learned to do at Shakshukia, add some grilled merguez sausage to it. Click here to buy for US readers, or click here to buy for Canadian readers. 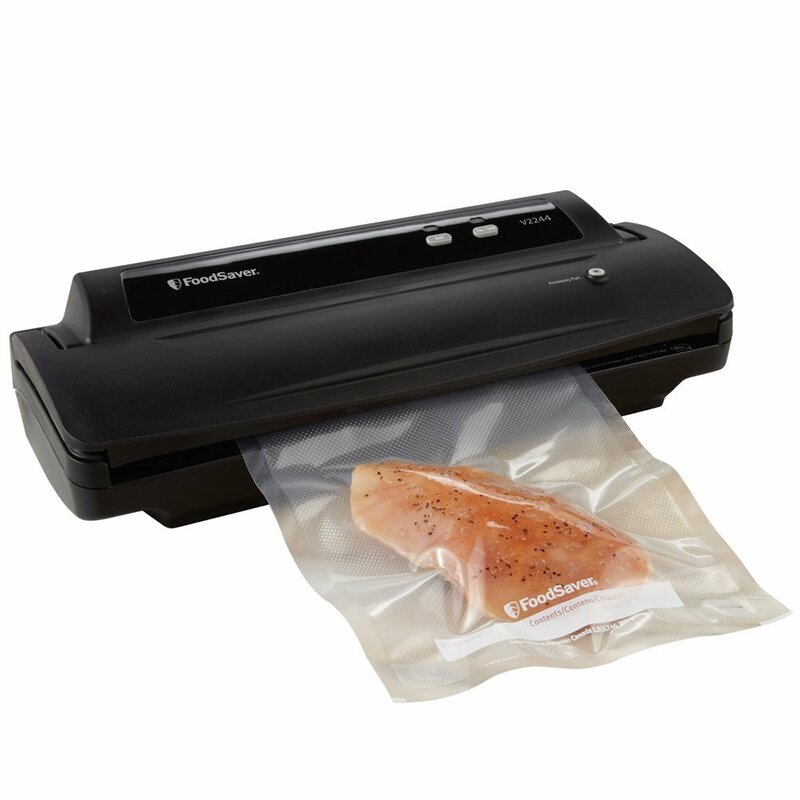 Though it might not seem exciting, I can't tell you how much I love our vacuum sealer. We bought it this year to use in conjunction with the sous-vide setup I received for my birthday, and honestly, I think I've used it every single day since. Of course its primary function for us is to freshly seal cooked meals (we batch cook so we always have lunch options and quick dinner options at the ready), and because it does so with a vacuum, the foods stay fresh for far longer than if you were to use (like we used to) Ziplock freezer bags. I have read in some places that you can save a great deal of money using a food saver, both in terms of the ability to buy meats on sale and freeze them without worrying about freezer burn, and also in terms of the heat-sealed bags being cheaper than Ziplocks - but I haven't done the math. What I do know though is that a vacuum sealer is more than that, and for chip-aholics like me, it's a great way to reduce my temptation to eat more. What I mean is that heat based vacuum sealers will also re-seal bags of chips (and rice, and spices, etc.). Doing so not only stops me from going back for seconds, it also keeps the chips as fresh as they day they were opened. If you do buy one, or even if you use Ziplocks, another tip I've got is once sealed, smooth out the contents of the bags so that they're as thin and as flat as you can make them. That way they'll take up far less room in your freezer, and they'll thaw that much more quickly. The link below is to a Foodsaver version, I bought the one from the US link because it's cheaper and I didn't want fancy bells and whistles (and it's been great), but I couldn't find the same one for sale on Amazon Canada. Because the prices vary regularly, and because there are many makes and models, make sure you hunt around on Amazon before choosing one, and you might also consider buying some discount bulk no-name vacuum sealing bags - so far they've worked well for us. Click here to buy for US readers, or here to buy for Canadian readers. We bought ours a few years ago and we're using it more and more often and not just for speedier rice, beans, and quinoa. 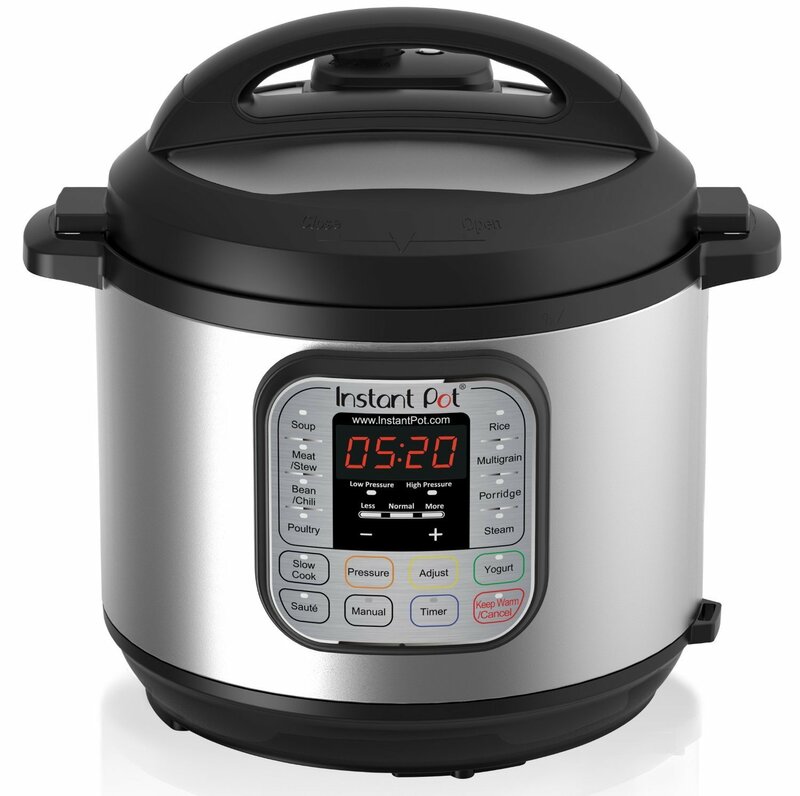 Don't worry about the space it takes up as the Instant Pot actually replaces a whole pile of devices in your kitchen as it is at once a pressure cooker, rice cooker, steamer, slow cooker, and even can be used as a saute pan. The online Instant Pot communities on both Facebook and Reddit are incredibly helpful, and recipe wise, Serious Eats has a pile as well. Lately we've been using our Instant Pot to take a shortcut with Ottolenghi's shakshuka (using a can of San Marzano tomatoes and then a 45 minute high pressure run through the Instant Pot as opposed to the long simmer recommended by Shakshukia's chef and owner) - a shortcut inspired by this recipe for an almost as good all-day red sauce for pasta. The one thing we have yet to try is the yogurt making feature which I hear is easy and great. These Instant Pots go on sale regularly, and there are many models, so once again, have a hunt around on Amazon before buying. I bought this for my wife for her birthday 3 years ago and we've both used it virtually every single day since. Though it's definitely not describable as inexpensive (generally it runs around $500-$600), if over time it precludes your need to buy espressos, cappuccinos, americanos, or lattes at an expensive coffee shop, you may make some of your money back. For us, because we buy green coffee beans in bulk and roast them ourselves, I'm guessing a fancy coffee costs us somewhere on the order of $0.40 each. Multiply their savings over the at least 730 cups we pull a year and that argument about paying for itself probably holds water. 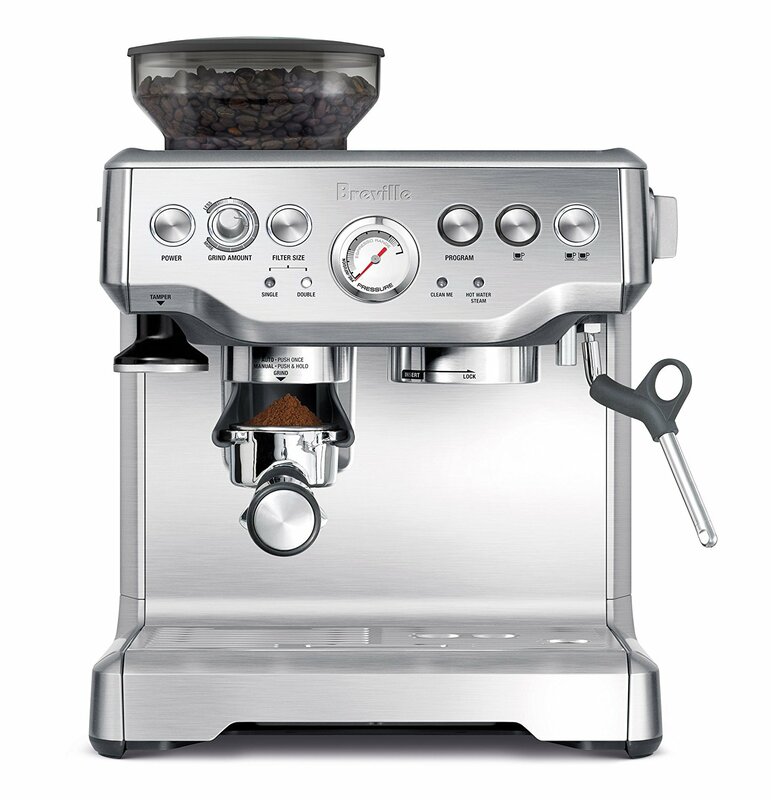 That aside, this thing is an absolute workhorse and it allows for tremendous customization of grind (the built in grinder works great), tamp, and temperature which in turn yields coffee shop worthy cuppas. It's also incredibly speedy. From turning it on, to a double espresso in my hand in just over a minute (and this includes the time it takes for the machine to heat, the beans to grind, me to tamp, and the pour). For other ideas, feel free to have a peek at my last year's gift guide which also includes the simple, relatively inexpensive coffee roaster we've been using for the past 4 years now.